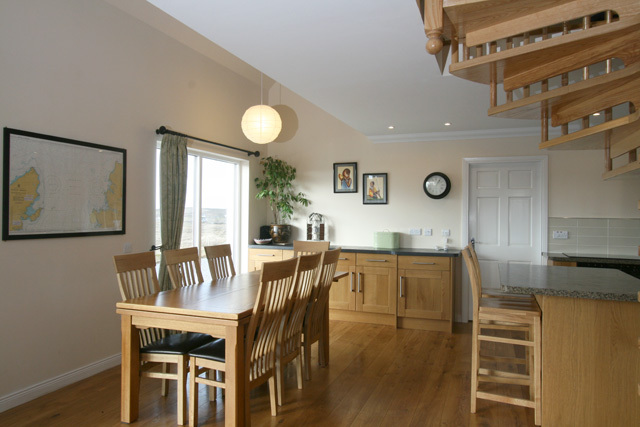 Aros nan Aisling (Dwelling of Dreams) was completed in 2013. 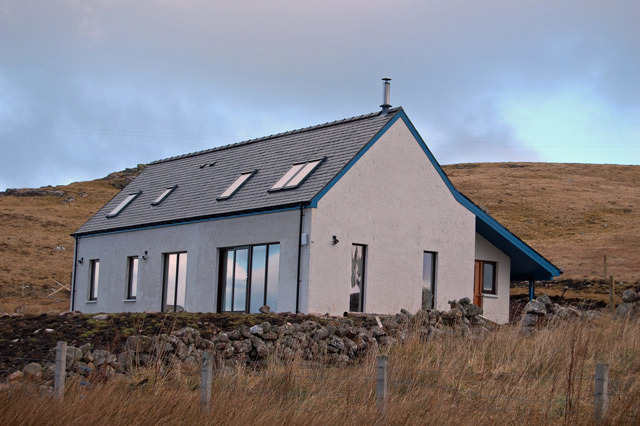 Its design is based on a traditional Hebridean longhouse and modern architectural thinking, materials and technology have enabled the most to be made of the sea & mountain views, sunshine, light and the interior space. There is a large fenced natural garden which incorporates the ruins of a bygone age. Whether you leave by the front or the back gate, there is the freedom to roam and explore, whatever your age, a stunning natural & diverse playground awaits. 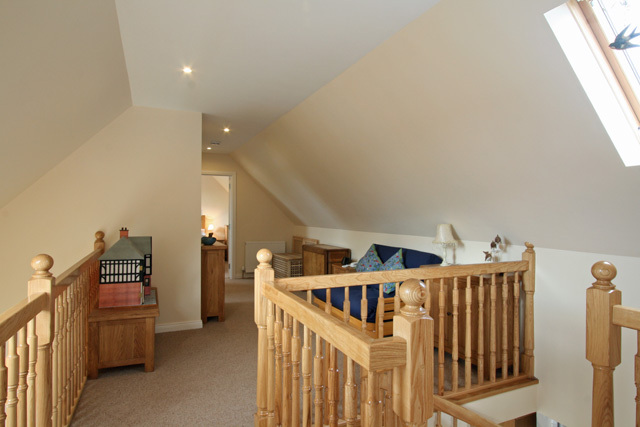 Accommodation wise this property offers open plan living at its best, with the main living space being one. 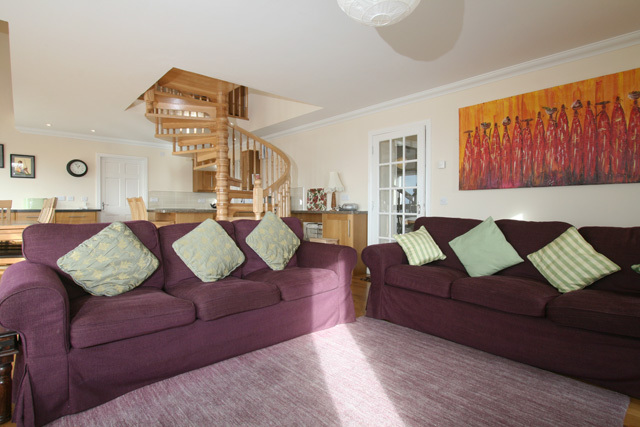 Ideally positioned to take full advantage of the views, at one end a sitting area provides room to relax in front of the wood burner after a day exploring, at the other end a spacious kitchen and dining area. 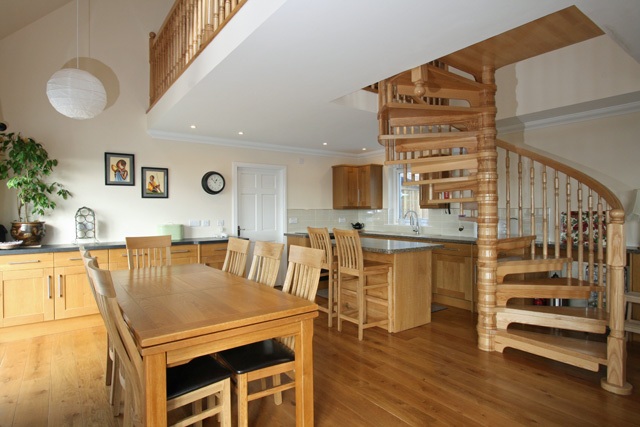 A beautiful and striking feature of this room being the oak spiral staircase to the upper level, further accommodation on this level comprise of the master bedroom with en-suite shower room, a twin bedroom, a wet room and a utility room. 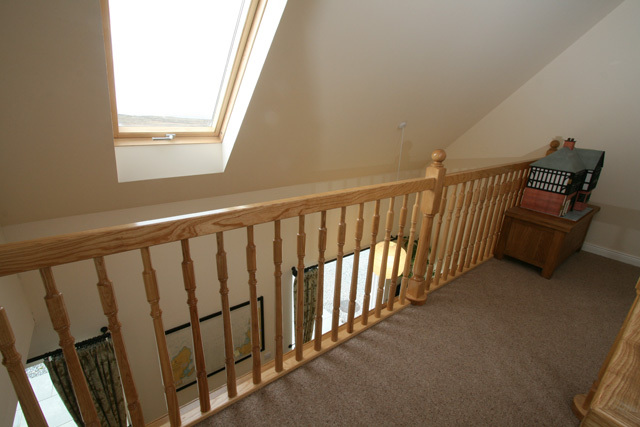 On the upper level there are two further double bedrooms, a bathroom, and a large hall area with views to the dining room below. 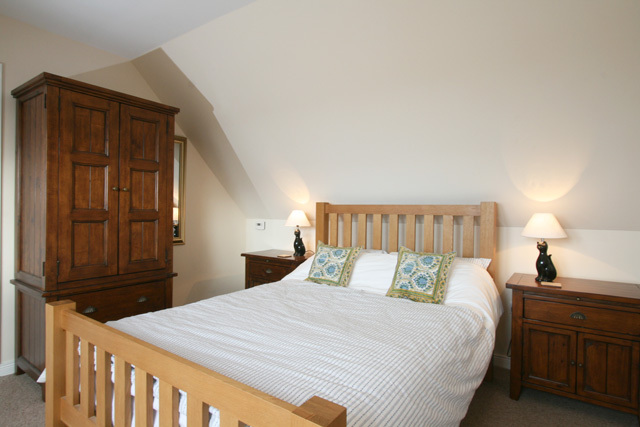 Throughout the property has been furnished and equipped to a high standard with quality oak furniture, and all the rooms enjoy a sea view. 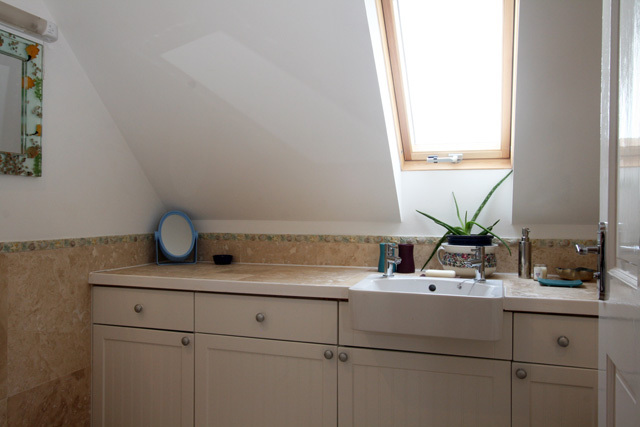 The house uses the latest green technology with an air source system providing under floor heating on the lower level and radiators on the upper, this ensures that the house is maintained at an ambient level no matter what the weather is like outside. 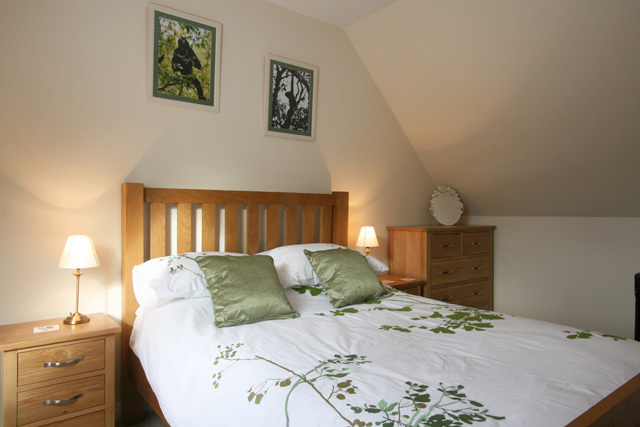 The house enjoys a fabulous sea view and the garden is enclosed making it ideal for guests with younger children. 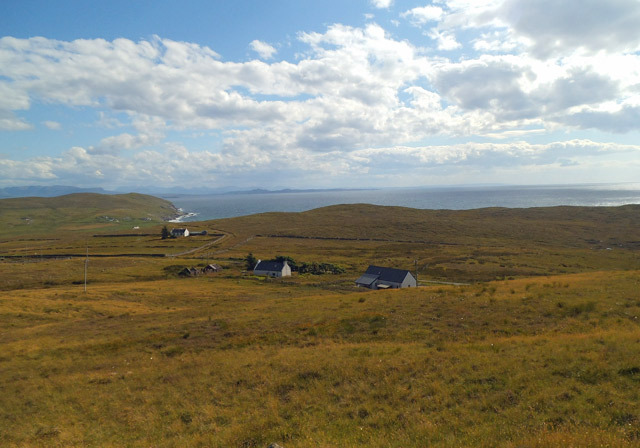 Assynt is an area of rugged mountains, moorland, wooded valleys, rushing salmon rivers, lochs, waterfalls, sandy beaches, hidden beaches, dramatic sea bird cliffs, islands and evocative remnants of different times past, and the sunrises and sunsets can be breath taking. 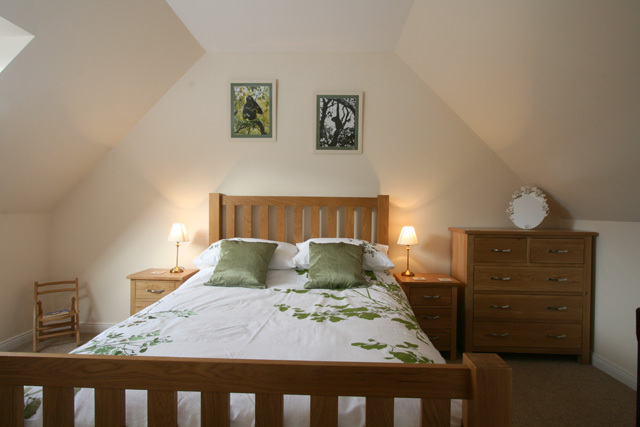 On clear nights the stars seem touchable and there is even the possibility of experiencing the northern lights. There are so many different aspects and delights for all ages to discover and enjoy. It is part of Europe's first “Geo-Park”, a rock hound’s delight be they expert or amateur. The fauna and flora are diverse and unique. Orchids, whales, dolphins, seals, otters, basking sharks, golden eagles, sea eagles, osprey, puffins, red deer and even the more secretive animals of the Scottish highlands are all there - you just have to be in the right place at the right time. Car touring is fun as is cycling. There are many different types of walks, from child- focussed woodland walks, coastal paths, accessible mountain & interior walks, waterfall walks, historical walks, guided walks and some especially designed for wheelchair access. The area is a fly- fisherman’s affordable dream, sea fishing can be done off the rocks or through boat charter and if you don’t have your own canoe, canoe hire and tuition are available. 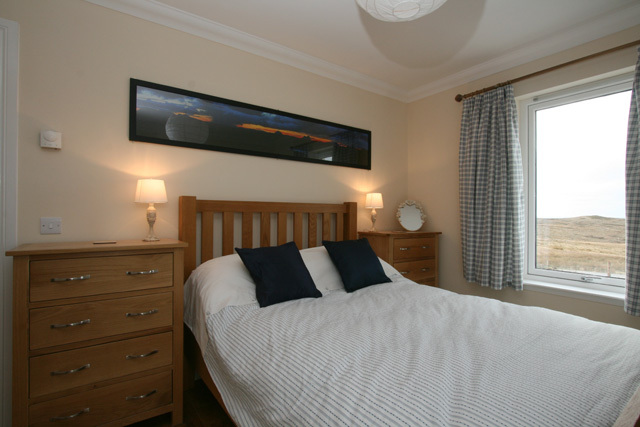 The nearest facilities to the property are located in Lochinver (seven miles), the village has a couple of shops, a Tourist Information Centre, the Highland Stoneware Pottery, and some good restaurants, a popular choice being the Lochinver Larder, well known in the area for its famous pies. 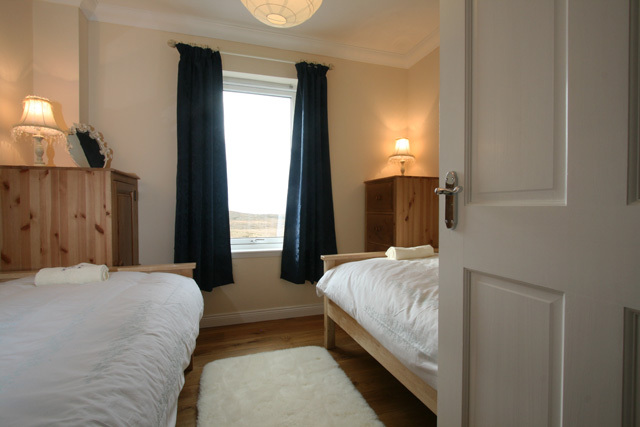 A small shop (Easter to the end of October) is also available at the campsite in Clachtoll (4 miles). 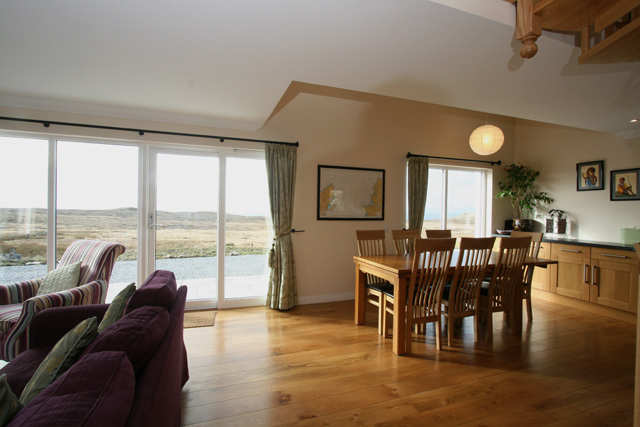 Open plan sitting room, dining area and kitchen, with floor to ceiling windows and sea views. 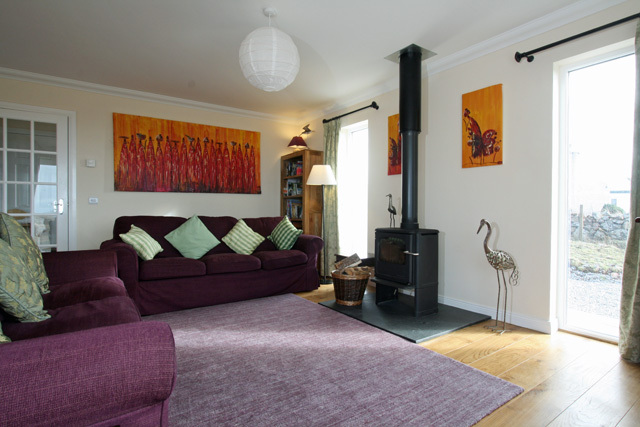 Sitting room, comfortable sofas and armchair, wood burner, Digital TV, DVD, CD, radio. 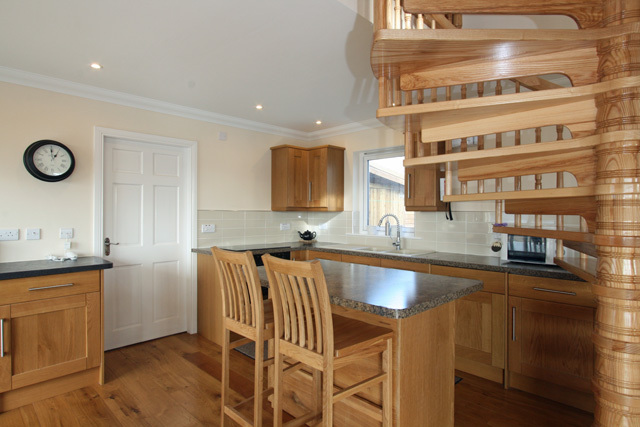 Kitchen, electric double oven & hob, fridge, freezer, microwave, dishwasher, and all the usual kitchen equipment. 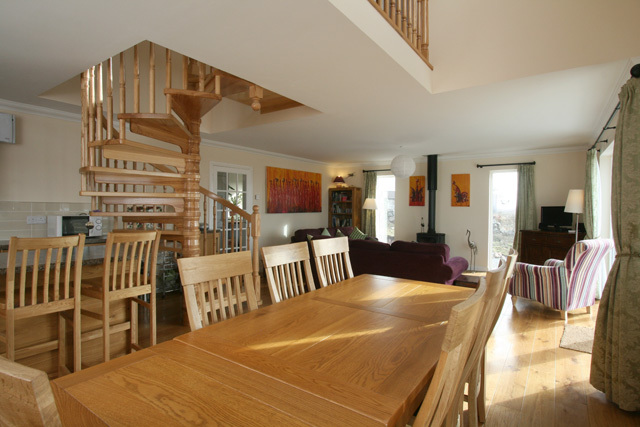 Dining area with table and seating for eight, patio doors with access to the front garden. 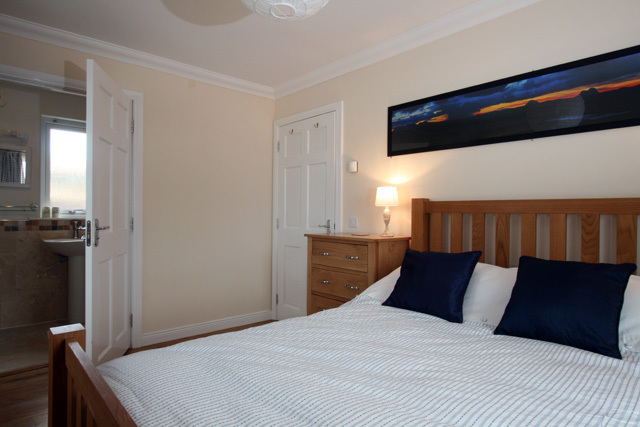 Double bedroom with en-suite shower room, whb, wc, heated towel rail, sea views. 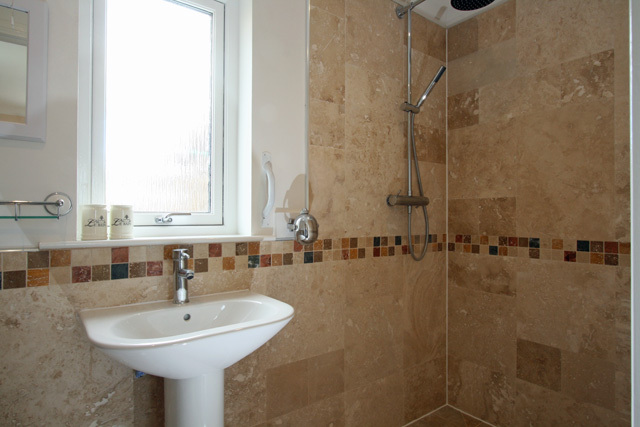 Wet room, Shower, whb, wc, heated towel rail. 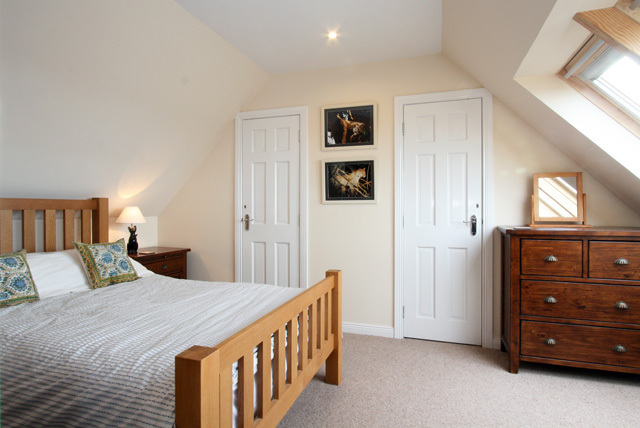 Hall area with space for boots and other outdoor clothing. 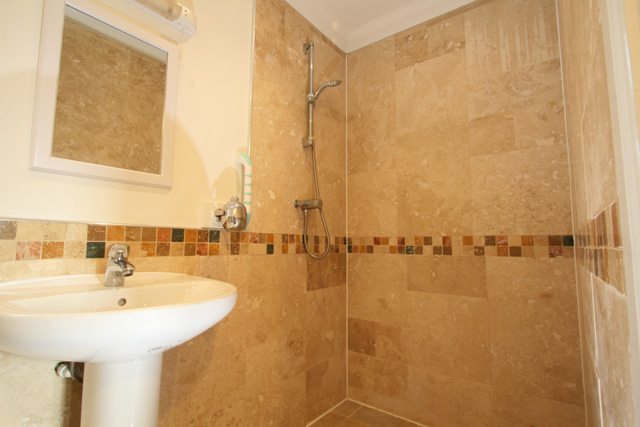 Family bathroom, whb, wc, heated towel rail. Spacious hall area with seating. 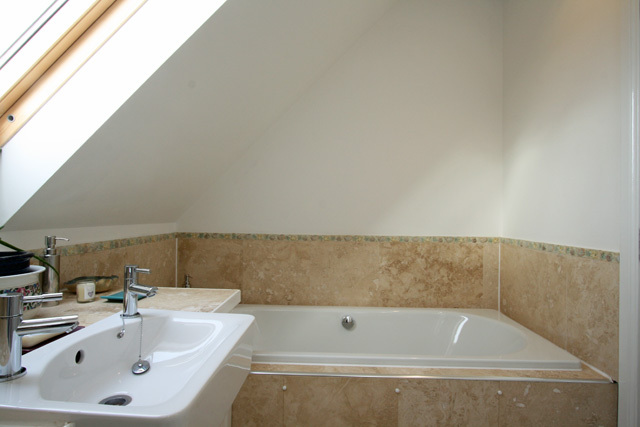 Downstiars underfloor heating and upstairs radiators. Large enclosed garden with furniture. Off road parking for four cars. 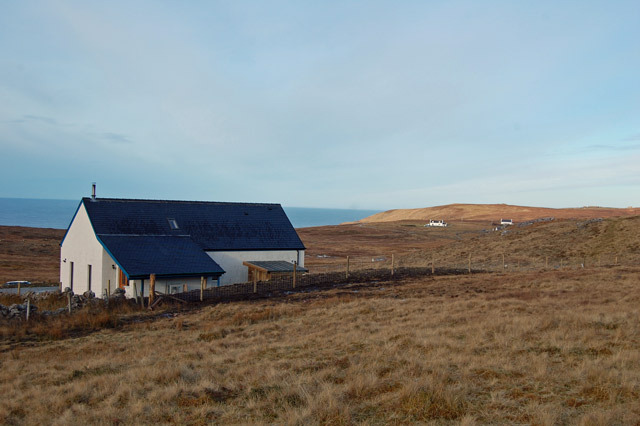 Newly completed property with magnificent views. 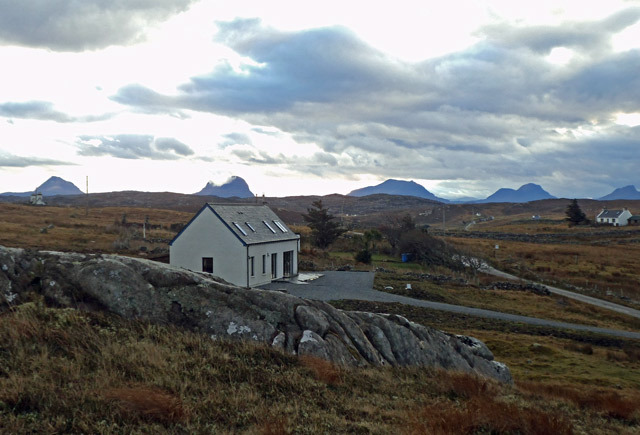 Ideally placed to explore Assynt and Europe's first "Geo-Park". Village amenities of Lochinver just seven miles away.